As noted in my previous article, (Micro-Franchising and the Need for the Social Investor), social impact investment is the dynamic fuel necessary for social or micro-franchising to scale and serve more consumers. Social impact investing can serve as a repayable finance vehicle that can be used for capital investment, revenue funding development, capacity building, capital raises including loans and equity investments, or as charitable grants and quasi-equity investments, overdraft facilities, and social impact bonds. An initial social impact investment might fund prototype development and testing, followed by investment in the design and development of the franchise program and raising the necessary capital to sustain the social or micro-franchise program, including the often overlooked basic elements of training programs, operation manuals, field support, and the supply chain. Social impact investor alignment is required, grounding values and principles early to guide the micro-franchise program. 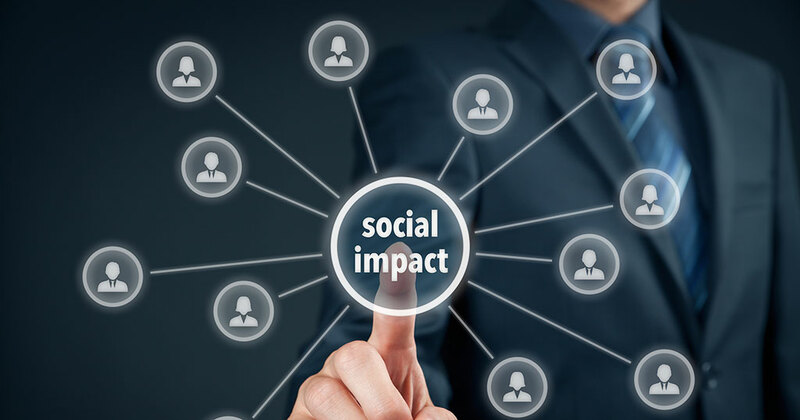 The following four case studies reflect situations in which social franchising and social impact investors have successfully targeted and effected international social franchise programs. In Kenya, approximately 8 million people live in settlements with little space and very limited resources, which presents significant difficulties for disposing of human waste. For defecating, Kenyans are typically required to either use plastic bags that are left in the streets, or to use outside latrines, which can cause substantial environmental harm. Sanergy sought to have a significant social impact by improving sanitation conditions by providing portable toilets that are pre-manufactured, shipped, and installed in residential communities and other venues on a cost-efficient basis. Sanergy's Fresh Life Toilet (FLT) is made of high-quality materials and easy to keep clean and maintain. More than 1,000 FLTs have been sold. Sanergy provides its franchisees with the FLT (a customer pay-for-use toilet), as well as training, access to financing, ongoing operational and marketing support, and daily collection of the waste-filled cartridges from the FLT, replacing them with clean empty cartridges. Sanergy's brand message is that people will pay to use the toilets if you make them clean and sturdy enough. Additionally, by aggregating teams of franchisees, Sanergy generates increased local demand for the FLT and ensures that FLT equipment is kept clean and maintained. The cost of an FLT is approximately $500. Sanergy helps its franchisees finance the FLT interest-free through a partnership with Kiva, an online micro-lending platform, and promotes customer use of the FLT on radio and on murals in the Kenyan slums. The Child and Family Wellness network (CFW Shops) provides services that target the treatment and control of major diseases including malaria, respiratory infections, and dysentery with healthcare services and education. CFW Shops is recognized for its franchisee training program, which include classroom, seminars, clinics, and management practices focused on providing each franchisee with training and education on how to diagnose certain conditions and correctly prescribe the appropriate medicines. The CFW Shops network also includes a centralized procurement center, permitting the network to drive down costs of drugs while preserving quality by buying from reliable suppliers, implementing a record-keeping system for patient information, and requiring all CFW Shops to operate in accordance with standards enforced through required performance at certain prescribed service levels. Each franchisee participates in recording its performance in a scorecard based on pre-determined performance metrics including client services, equipment and supplies, personnel, logistics, layout, management, marketing, and promotion. In 2016, CFW Shops treated an average of 40,000 patients on a monthly basis - and has served more than 5 million patients since its start. CFW Shops' standards and system requirements, instructions, and procedures are memorialized in manuals that are updated and accessible to franchisees and their employees. Key topics include drug handling, treatment of disease, inventory management and purchasing, bookkeeping, and financial reporting. CFW Shops monitors compliance with the standards and system requirements by franchisees and their employees to protect the brand and quality healthcare services across its network. One of the most important requirements franchisees must adhere to is to purchase all drugs through CFW Shops. Jibu is a for-profit L3C (a U.S. low-profit limited liability company) that assists its franchisees in bringing safe drinking water to the communities the franchisees live in by providing financing and equipment procurement services. With more than 190 franchised locations in Kenya, Rwanda, and Uganda, Jibu has sold more than 30 million liters of safe drinking water and has more than 150,000 daily customers. Under the Jibu franchise program, prospective franchisees interested in opening a franchise must first open a micro-franchise. This involves buying bottled water in bulk at a reduced price from an existing franchisee, and then selling it from a small retail space in an existing franchisee's territory or in an open territory. This assists existing franchisees by distributing water to new and expanded communities. The micro-franchisee must meet a pre-determined sales quota before applying for a franchise. A franchisee is responsible for bottling quality water, hiring and managing employees, selling water within their territory (1 to 2 kilometers), and local marketing. As franchisor, Jibu funds the build-out of a franchised unit (approximately $20,000) and provides regional marketing, technology, brand image protection, and system operations. Jibu also provides asset financing for the retail unit. The franchisee is required to pay back the amount financed, plus a charge set by Jibu and imposed on each liter of water purchased and sold through the franchisee's business. Marie Stopes International (MSI) is a U.K. charity that delivers healthcare to women in poverty through more than 3,600 BlueStar franchisees working across 18 countries in Asia and Africa. MSI provides a full range of contraception, safe abortion (where abortion is legally permitted), and post-abortion care to the poor. Marie Stopes partners with existing private health providers, as franchisees, to provide high-quality contraception and other services through the BlueStar social franchise brand. Franchisees sign a contract with MSI and pay a nominal annual fee. MSI provides supplier coordination, technical support, and advice to franchisees, as well as healthcare and customer training and related services. Franchisees receive high-quality but discounted commodities from MSI that the franchisees sell to customers pursuant to an established pricing structure. MSI provides franchisees with ongoing training in a range of sexual and reproductive health services, infection prevention, counseling, and most important, instruction regarding providing services such that the clients' needs are at the heart of what the franchisees do. Upon completion of initial training (and provided they meet MSI's quality standards), franchisees are provided with branded signboards, materials, affordable high-quality medicines, and other products they then make available to their clients in accordance with an agreed-upon price structure. MSI assesses each of its franchisees' compliance with its required quality standards. These social franchise programs and others are continuing examples of how the franchise model can be employed in the most dire environments. Interestingly, these examples are also the basis for social franchise programs in the United States in economically challenged areas. Our next installment will feature some of these programs.